The American 1965 is the first of a line of models we are doing with Gordon and Smith Australia. Being asked to come on board with such a prestigious label is a great privilege and we are stoked to bring these models to the public. All of Andy's models with G&S are shaped, glassed and finished by Andy out of the same space he does all of his boards. 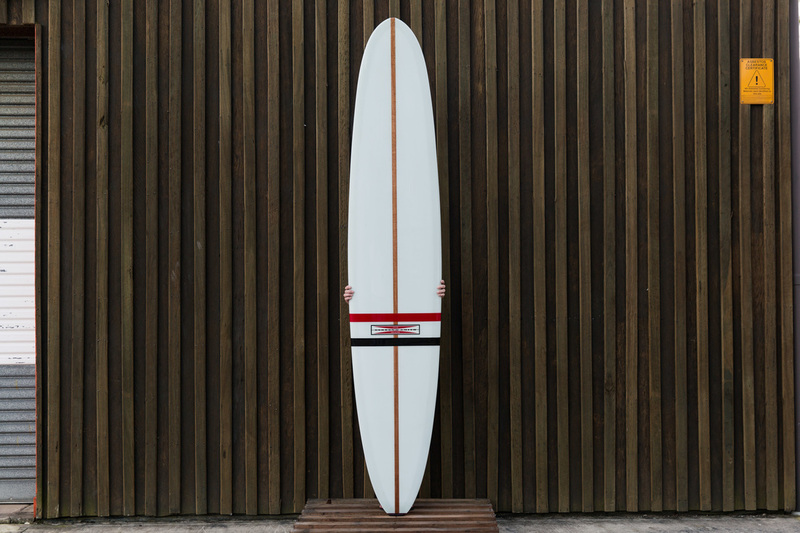 This particular model is a straight up replica of a board made by Floyd Smith in San Diego, 1965. It is only available in the dimensions and glass of the original board, clear volane and a glass on fin with a one inch redwood stringer. A truly classic board in every sense and we are stoked to be a part of the G&S legacy.